The Compsognathus was a petit dinosaur that existed in the Upper Jurassic period. Two specimens were found which are attributed to the Compsognathus, the first from Germany and the second from France. The former belonged to the late Kimmerdigian age and the latter was from the early Tithonian age. Thus, the Compsognathus was in existence about 153 to 148 million years ago. The size of the Compsognathus was very small. It grew to a maximum known length of 4.5 feet. Its adult weight was estimated to be a little above 3 kilos. The German fossils were significantly smaller than the French fossils. And the two were discovered over a century apart. Thus the Compsognathus was presumed to the size of a pigeon or a chicken. It was considered to be the smallest known dinosaur for a very long time. After the excavation of the French remains, it was determined that the Compsognathus was larger than first assumed. There are many structural similarities between the Compsognathus and the Archaeopteryx. And of both these creatures were discovered in the same Solnhofen region of Germany. Hence it was postulated that the Compsognathus may have had feathers. Although it was later determined that the Compsognathus was devoid of feathers, the resemblance between the two species is very significant. It indicates that birds and compsognathid dinosaurs most likely had a common ancestor. The name Compsognathus is composed of two words. 'Compso' is derived from the Greek word 'kompsos' which means 'sophisticated' or 'graceful'. The word 'gnathos' also has Greek origins and translates to 'snout' or 'jaw' in English. Thus, the name Compsognathus denotes 'a graceful jaw'. This name was most likely chosen because of the dinosaur’s small size. The specific name Compsognathus longipes denotes 'long legs'. The word 'pes' translates to 'foot' or 'legs'. The remains were christened by scientist Johann A. Wagner in 1861. The holotype of the Compsognathus was discovered by Joseph Oberndorfer in 1859. He discovered it in the lagoons of Solnhofen, Germany. This region lies in the Painten Formation. The second remains were found in Canjuers, France. These were discovered by Louis Ghirardi in 1971. Thus, these fossils were excavated 112 years after the discovery of the holotype. Both these fossils had near complete skeletons. The German fossils were found alongside those of the Archaeopteryx. E. C. Cope had also noticed the similarities between the two creatures. Thomas Huxley determined in 1968 that the barring the lack of feathers, the Compsognathus and Archaeopteryx were very similar. He posited that the Compsognathus was a primitive bird. He also believed that the Compsognathus could have possessed feathers which were not discovered at that time. 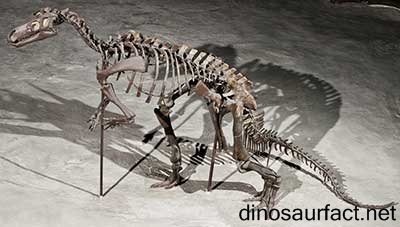 When O. C. Marsh examined the remains 1895, he classified the Compsognathus as a dinosaur. By the time the French fossils were discovered, many other theropod fossils were available and thus the Compsognathus was classified under sub order Theropoda and family Compsognathidae. This specimen was originally classified as a distinct sub species C. corallestris. This was due to difference in size as compared to the German specimen. But after further research, it was determined that the German fossils may have belonged to a juvenile. Hence the species name C. corallestriswas disregarded. The Solnhofen remains are a presently preserved in the Bavarian State Institute for Paleontology and Historical Geology. The Canjuers fossils are held at the National Museum of Natural History in France. The Compsognathus was a tiny dinosaur. The German specimen was very small. It was barely 1.5 feet in length. And it weighed around 800 grams. The French specimen was much larger. It was a little over 3 feet in length and weighed about 3.8 kilos. The fore arms of the Compsognathus had three digits. The neck of the Compsognathus was long and flexible. Its eyes were large and wider apart. Such features indicate that the Compsognathus had a good range of site. The Compsognathus has long legs which allowed it to achieve high acceleration in a short span of time. These features of the head and legs show that the Compsognathus was a proficient hunter. The tail of the Compsognathus was whip like which helped it to balance itself while running. 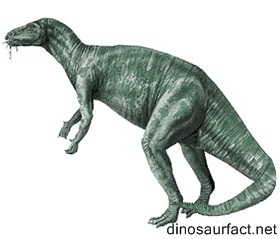 The Compsognathus was a carnivore. This can be determined without doubt as the fossils of a lizard were found inside the rib cage of the Compsognathus which was excavated in Germany. This lizard was the Bavarisaurus. The Bavarisaurus was a swift lizard and hence if the Compsognathus could catch it, it should have been a keen predator. The remains of the Bavarisaurus were not disintegrated. This indicated it was not chewed. Based on this fact, it is believed that Compsognathus did not tear apart its prey. The fossils of unclassified vertebrates were discovered in the rib cage of the French specimen as well. The habitat of the Compsognathus was comprised of small islands surrounded by water on all sides. The Compsognathus was most likely land dwelling. But it is possible that it took refuge in the low plants in its environment. The only other fossils found along with those of the Compsognathus were aquatic organisms and smaller vertebrates. Thus, as small as it was, the Compsognathus could have been the largest creature in its environment. It could have been on top of the food chain. The Compsognathus was related to other members of family Compsognathidae such as the Sinosauopteryx, Juravenator, and the Sinocalliopteryx. It lived in close association with the Archaeopteryx and it is probable that they may have had a common ancestor. 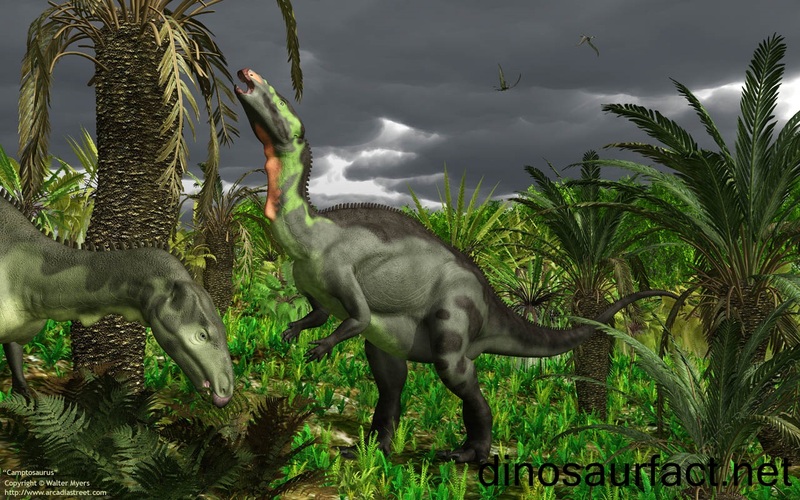 Some scientists had also observed some similarities between the fossils of the Compsognathus and the Tyrannosaurus, but the two dinosaurs are distantly related at best. Many pterosaurs such as the Pterodactylus coexisted with the Compsognathus. Many fish, bivalve and mollusk remains were discovered alongside those of the Compsognathus, indicating that they accounted for a large share of the Compsognathus habitat. The Compsognathus was one of the first theropod dinosaurs to be described in detail. 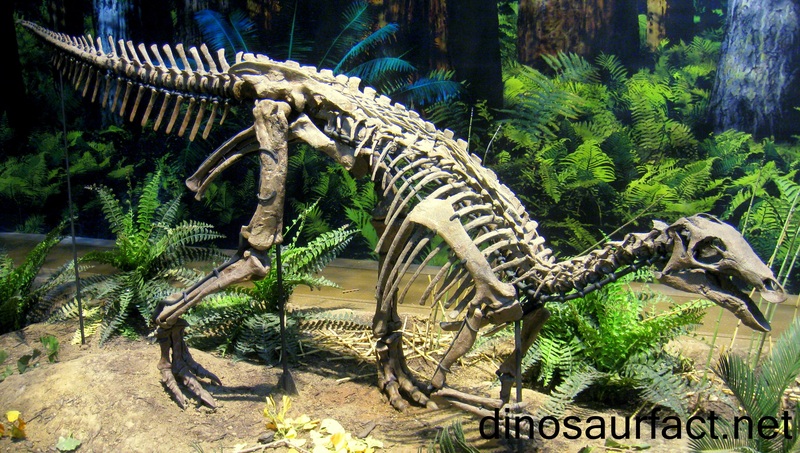 It lived in unique surroundings from where no other dinosaur fossils have been recovered. The resemblance of the Archaeopteryx with the Compsognathus may signify that birds have developed from theropod dinosaurs. The discovery of the Compsognathus had been monumental in understanding carnivorous dinosaurs as most the known dinosaurs during that time were herbivorous. Scientists are still fascinated by the transitional nature of the Compsognathus.